A-frame signs aren’t all created equal. 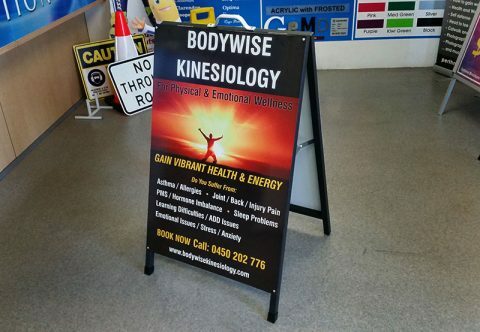 That’s why you need to choose Perth Graphics Centre for your A-frame needs. Our A-frame signs are created using high quality metal components with powdercoated finishes, ensuring your A-frame lasts for years. The faces are made from colorbond or aluminum composite panel, which is designed to withstand years of punishment. If you’ve bought A-frame signs previously, you’ll know that they need to be sturdy so as to not blow over in the wind. 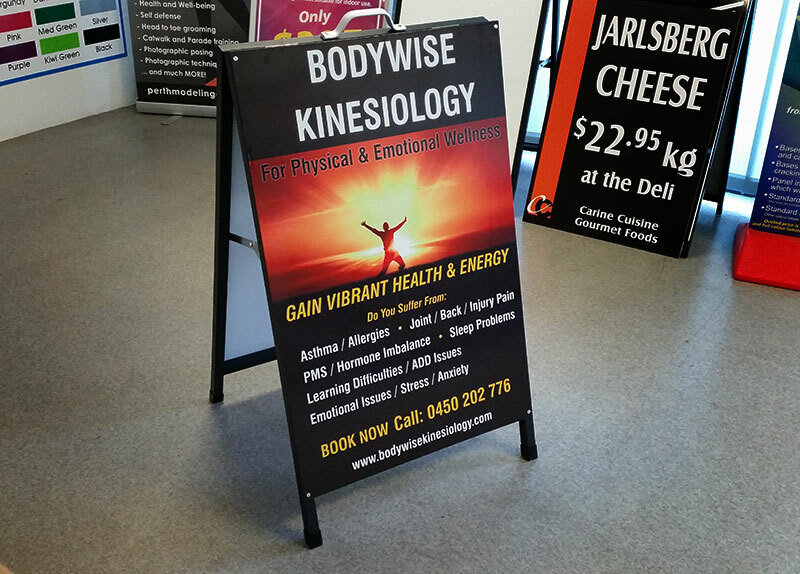 Perth Graphics Centre’s A-frame signs are just that – sturdy. We also have corflute A-frame signs available, which use a sheet of corflute for the faces. This makes it easy to change over and are perfect for promotional activity or quick-change signs. If you’d like to have a chat to us about A-frame signs, then please head to our contact page or call us on 9248 6226 to have a chat. You’ll soon discover why people are switching to Perth Graphics Centre, WA’s premier sign company. Hi I am after a quote for an A Frame.